The Master’s College Mustangs split their non-conference doubleheader against the Oregon Tech Hustlin’ Owls today, winning the first game 12-2 and losing the second one 3-2 in extra innings. 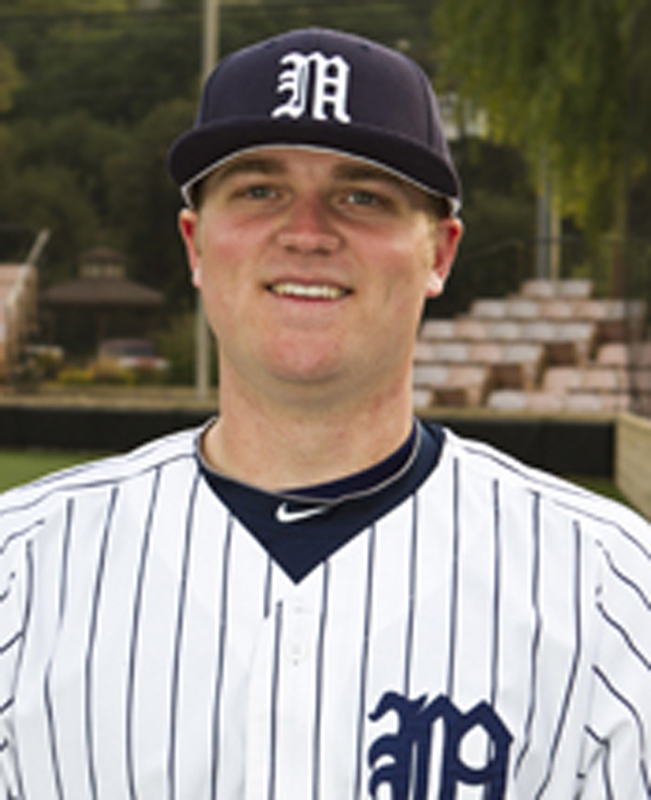 Tyler Elrod (Modesto, CA) started game one for the Mustangs, threw six innings, struck out four batters, and allowed only two runs on five hits. Elrod’s record improved to 5-1 with the win. Bryce Clancy (Phoenix, AZ) followed Elrod, seeing two innings of action and keeping the Hustlin Owls scoreless. Justyn Lee (Woodland Hills, CA) closed the game for the Mustangs in his second appearance of the year. The Mustang offense was unstoppable, putting up 12 runs on 17 hits and scoring in every inning but the first and the eighth. Almost every TMC batter recorded at least one hit. Steven Karkenny (Chatsworth, CA) went 4-5, scoring two runs, and driving in four. He blasted his third homer of the season with a two-run shot to left-center field in the bottom of the fourth. Chris Talley (Simi Valley, CA) went 3-3, scoring three runs and plating another in what was certainly his best game of the season. Talon Sisley started the game for Oregon Tech, working the rubber for four innings and allowing nine runs on eleven hits. He took the loss and his record dropped to 1-2. Sisley was followed by Raf Belloc, who threw two innings and allowed two runs on four hits. Kendyll Garvin finished on the mound for the Hustlin’ Owls, pitching two innings and giving up one run and two hits. Between the three TMC and three Oregon Tech pitchers there were a total of eight hit batters in the morning game. Tucker Richardson (Modesto, CA) opened the late game for TMC. He threw three innings, striking out four but giving up two hits and two runs, both of which came on a homer by Aaron Bocchi in the top of the second. Andrew Klausmeier (Northridge, CA) took over in the fourth, commanding the mound for one inning, and holding the Hustlin’ Owls to two hits and no runs. He was followed by Tommy Kister (Saugus, CA) and Cody Harris (Lakewood, CA) who combined for three innings. They recorded an outstanding seven strikeouts and only one hit. After the game went into extra innings, Daniel Sheaffer (Mount Airy, NC) took over on the hill for the Mustangs. He struck out two but gave up the go-ahead run on a Dylan Rogers single to left field and was tagged with his second loss (2-2) of the year. Though Oregon Tech pitchers managed to hold the Mustang offense to only two runs in the second game, Karkenny had another excellent game at the plate, going 3-4 with a run scored and an RBI. Brett Piper (Saugus, CA) tied the game in the bottom of the seventh with a pinch-hit RBI that scored Sam Robison (San Juan Capistrano,CA), who had led off the inning with a triple to deep center field. The late rally was not enough, however, and the Mustang offense was unable to score again in the bottom of the eighth to keep up with the Owls. Craig Kathol started the second game for Oregon Tech, throwing seven innings and holding the Mustangs to just two runs on six hits. Kathol recorded the win, his first of the year. PJ Vanemmerik closed the contest for the Hustlin’ Owls, effectively stopping the late Mustang rally. It was his first save this season. Oregon Tech’s offense struck early when Aaron Bocchi went deep to right-center field in the top of the second. After that, the Hustlin’ Owl bats remained relatively silent until the top of the eighth when Alex Reynolds doubled off Sheaffer. Ben Krueger came in to pinch run and scored the go-ahead run on a two-out single by Dylan Rogers. The Mustangs are currently 17-7. They continue to lead the GSAC (11-4), resting one game ahead of Concordia. The Mustangs will play the Ashford (IA) Saints (3-3) at home on Tuesday, then travel to Santa Barbara on Friday and Saturday to face GSAC opponent Westmont (12-8) in an important conference series.